Fashion-forward style. 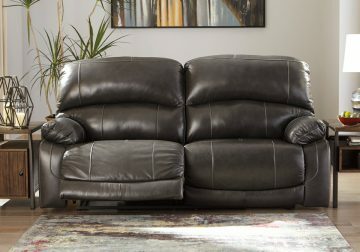 Sumptuous leather feel and appeal. Total comfort at your fingertips. 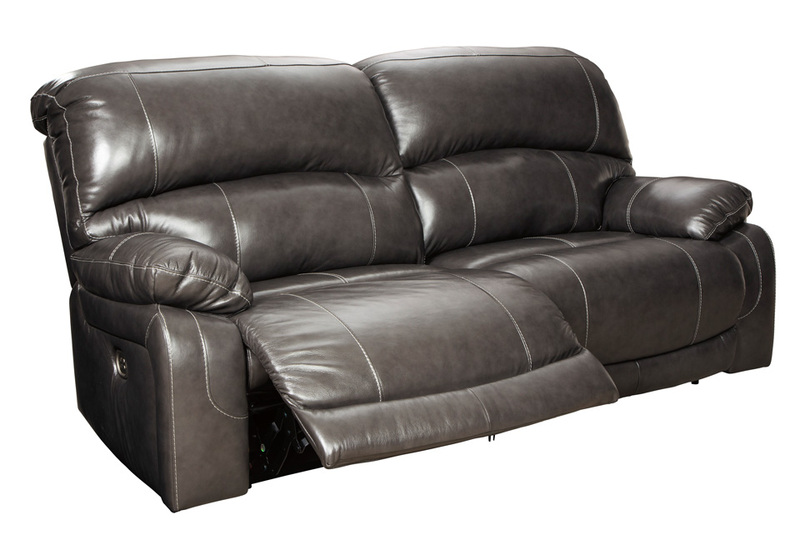 It’s all yours for the taking with the Hallstrung power reclining sofa. Wrapped in a rich charcoal gray upholstery, this decidedly contemporary power sofa tantalizes the senses in so many ways. An Easy View™ power adjustable headrest allows you to lean back while propping up your head—perfect for chilling out in front of the TV—while an extended ottoman lets you stretch out all the more. And with a USB port in each power control panel, you hardly have to move a muscle to stay powered up.